CarGurus has 26,452 nationwide C-Class listings starting at $799. Luxury is going lean everywhere you look. Everyone is dropping cylinders, looking to create the most efficient version of their opulent offerings. Mercedes-Benz is no different, with a turbocharged 4-cylinder now powering its base C250, and the C300 and C350 trims getting start/stop tech for their direct-injected 3.5-liter engines. Don’t let this convince you Mercedes has gone soft, however, as the C63 still waits to prove it can tear the asphalt out from beneath its tires with a 451-hp, 6.3-liter V8 built by AMG. And since application is just as important as efficiency, you can have your C-Class in rear- or all-wheel-drive (AWD) configuration and in coupe or sedan layout. This should be no surprise, as the C-Class is Mercedes’ most popular model, offering a multi-faceted entry into the brand. For 2013 the C-Class is nearly a carryover, but some additions aim to keep the model fresh. Prime among these is the ECO start/stop for the 3.5-liter engines, but don’t forget the mbrace2 telematics system, which is now a standard feature. C250/300/350 trims also get a new Sport Package option, which adds revised exhaust tuning, unique 18-inch “twin 7-spoke” wheels and a special interior trim for the sedans, while the coupes additionally get some front suspension tuning with the package. 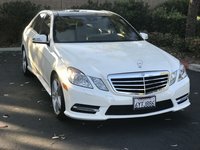 The base C250 can be had as a coupe or 4-door sedan, with the sedan available in Sport or Luxury variants, whereas the C300 is available only as a sedan, again in Sport or Luxury flavor. Moving up to the C350, you again have the option of coupe or sedan, but here the sedan is available only in Sport style. The C300 and C350 can also be had in 4MATIC AWD configurations, in sedan and coupe respectively. Every C-Class gets a 7-speed automatic with available paddle shifters, except the C63 AMG, which benefits from a 7-speed dual-clutch automated manual. The C250 starts with a turbocharged 1.8-liter engine with 201 hp and 221 lb-ft of torque, and can offer an EPA-estimated 21 mpg city/31 highway with the 7-speed automatic. If you want the 248 hp and 251 lb-ft of torque provided by the 3.5-liter V6 in the C300, you’ll be penalized at the pump down to 20/27 mpg. C350s do even better at 20/29 despite a power increase to 302 hp and 273 lb-ft of torque, thanks to the 4MATIC on the C300, although if you go with the 4MATIC option on the C350, you’ll drop to a more logical 19/27. The C63 AMG is predictably the worst of the bunch with regard to efficiency, but it’s doubtful the 13/19 rating is enough to dissuade anyone looking for the insane power of the 451 hp, 443 lb-ft of torque coupe. If you choose the “Sport” flavor for your C-Class, you’ll get a giant Mercedes propeller emblem fitted to a rear-slanted grille in an angular front fascia fitted with LEDs, while the Luxury approach gets you a more understated grille, fascia and wheels. Regardless of the setup you choose, you’ll get dual-zone climate controls, 8-way power seats, Bluetooth and a power sunroof. If that’s not enough, a Premium Package gets you a memory system, a Harman Kardon Surround Sound audio system, Sirius satellite radio and heated front seats. A Multimedia Package further adds voice control, real-time traffic, an in-dash 6-DVD/CD changer with 10GB hard drive and a rear-view camera. In all, there a lot of options to enter the Mercedes train, whether you want a luxury eco-sprinter like the C250 or a tub-thumping macadam monster like the C63. With new options this year, it’s a great time to take advantage of the successful redesign of 2012. Never has luxury been so efficient. What's your take on the 2013 Mercedes-Benz C-Class? Users ranked 2013 Mercedes-Benz C-Class against other cars which they drove/owned. Each ranking was based on 9 categories. Here is the summary of top rankings. Have you driven a 2013 Mercedes-Benz C-Class? 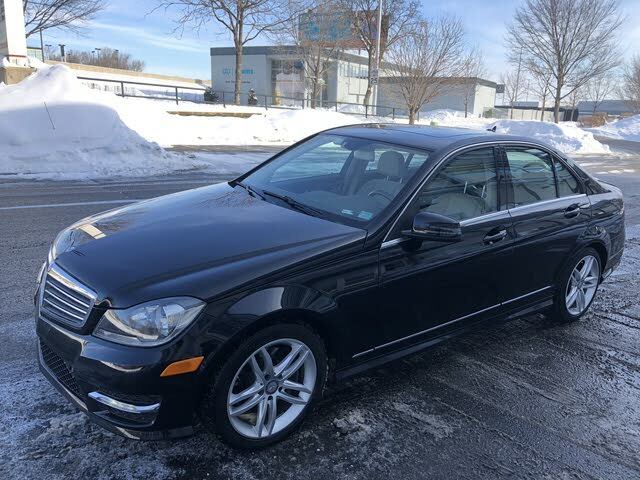 Looking to buy a 2011 - 2014 Mercedes c class. Are there any common issues to be aware of needing repair? I Tried several ties to search nationwide. It gave me the option to search locally , I am not interested to see prices locally. I need to see nationwide prices and cars. My benz has a 1.8L turbocharged V4. Should i be using 95 octane or 98 octane ? I am currently running on 95. I wonder if i can switch to 98.